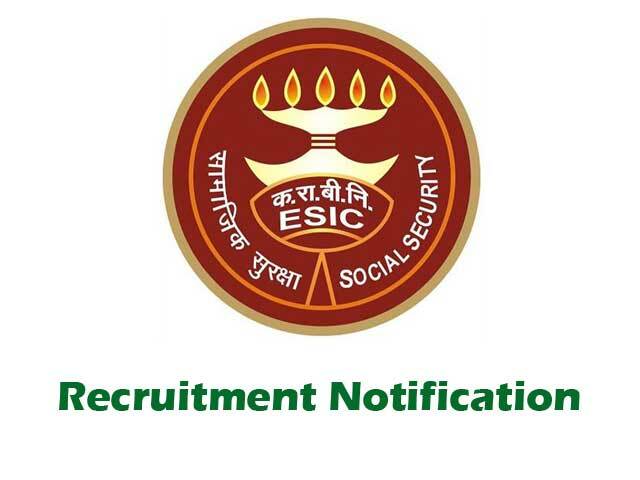 ESIC Delhi Recruitment 2018-19 – Apply through Online for 539 vacancies of SSO, Manager, Superintendent posts: Employee State Insurance Corporation, Delhi recently released a job notification on its official website esic.nic.in for SSO, Manager, Superintendent posts. Candidates are allowed to apply for ESIC Delhi Recruitment 2018 from 07-09-2018 to 05-10-2018. Candidate can find the further details like Eligibility Criteria, Age limit, the Selection process of ESIC Delhi Recruitment 2018 on the below page. Job Seekers can apply for the post through the Official page esic.nic.in and careers99.com. ESIC Delhi Recruitment 2018 – Apply Online for SSO, Manager, Superintendent Posts: Employee State Insurance Corporation, Delhi (ESIC Delhi) has advertised a notification for the recruitment of 539 posts of SSO, Manager, Superintendent vacancies. Eligible candidates can apply online from 07-09-2018 to 05-10-2018. Other details like age limit, educational qualification, selection process & how to apply for ESIC Delhi Jobs are given below. Interested Job Aspirants who are ready to apply for Employee State Insurance Corporation, Delhi 2018 Notification must possess the below-given Eligibility Details. Level- 7 of Pay Matrix (Civilian employees) with Entry Pay Rs.44900, replaced against Pay Band Rs.9300- 34800 with Grade Pay Rs.4600 of 6th Central Pay Commission.